Dianne Eppler Adams is a practical mystic and advocate for living your bliss right now by recognizing life’s higher purpose and creating heaven on earth. Her personal insights are gleaned from decades of her own compelling life experiences and search for life’s greater meaning. Her strong intuitive awareness of Spirit’s guidance has taught her to be an astute observer of the evolutionary thread woven into the everyday life. 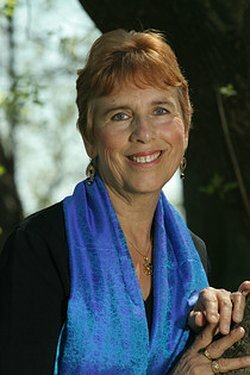 For more than twenty years as a psychological-spiritual astrologer, she has translated cosmic timing and meaning for consciously striving people seeking to find meaning and purpose by living in alignment with their authentic self. Dianne’s clients also gain support for stepping into a Spirit-filled life of joy and fulfillment through her presentations, interactive workshops, and private sessions. Opposite our interior world or inner feelings is our external world or our awareness of what is happening outside and around us. The people and happenings and the circumstances of our daily life are continually providing us with information. We constantly act and react with the external world, but how often do we consider the meaning and significance of what we see or what is happening? I believe there is much to gain from interpreting the reflections we receive from the external world. In other words, look at the significance of the behavior of others toward you. Consider whether they might be sending a subtle message, not overtly said but implied. If I am emotionally triggered by their behavior, could it be that they are mirroring a behavior of my own that I don’t like? The good or bad we see in another is quite likely present in us. We may have disowned those qualities and projected them on others. If that is true, then, when we look outward, I believe we can get a hint of what is happening inside ourselves. In fact, one way your unconscious or subconscious speaks to you is through the people and circumstances you experience moment by moment. When I worked for a nonprofit organization, my relationships with my co-workers were abysmal. I loved the work I was doing and believed in the purpose of the organization, but I kept running into snags with others in the office. I even experienced my boss as dis-empowering when he told me I was a poor writer. Believing him, the only writing I did for several years after that was in my personal journal. While at that job, I figured that I just worked with a bunch of jerks. If I had been open to interpreting reflections, I would have realized what I know now. My writing was poor because the subject matter (technical project reports) was uninteresting to me. My interpersonal relations were terrible because my own self-criticism and self-doubt threw me out of balance with my Inner Self. I was working in a technical environment with a “get-it-done-at-all-costs” mentality, disregarding the yearning of my heart to relate to others on a deeper, more spiritual basis. If I had interpreted reflections then, I would have left gracefully after finding more appropriate work. Instead, I quit in a huff and ended up unemployed for several months. Oh, what a lesson I learned! A while ago, I had the opportunity to share this perspective with a client. I pointed out that the reason the foundations of her life were falling apart was that her life no longer fit who she was becoming. Her seeming life breakdown was actually evidence of inner growth. How did I know? I knew because I could interpret the reflections she was getting from the outer world as evidence of the beginning of a whole new sense of herself. Although unknown, the future will present her with a life that more naturally fits her newly aware Self. Interpreting reflections has many other uses. Have you ever wondered why some days everyone is angry around you? Ata time like this, check inside to see if you have any simmering feelings of frustration or rage. Have you been holding yourself back from action due to self-doubt? I am not suggesting that all people’s actions around you are directly tied to you. I am suggesting that when something happens more than once, or it affects you very intensely, it might be something personally meaningful. It is worth taking the time to interpret the reflection with a willingness to make a course correction based on your new awareness. I remember reading about a Buddhist monk who, every day, looking out at all the troubles of the world, resolved to take action by looking inside himself to find such things as conflict, greed, and deception, and heal himself. That is truly where world peace begins. May you find great benefit from interpreting the reflections from your external world. 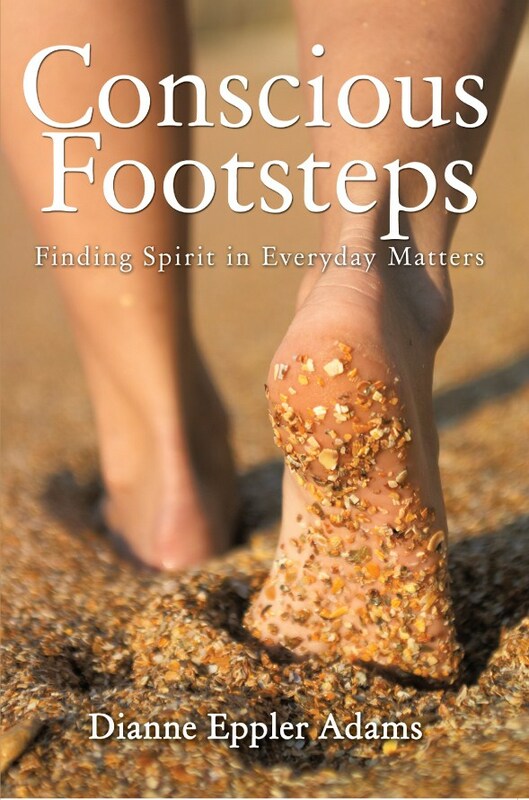 In addition to Conscious Footsteps, Dianne is the author of the e-book, Flip Negatives to Positives: Tips for Thriving in Change and Uncertainty, and writes a popular e-newsletter Spirit in Matters. She holds a certification from the International Society for Astrological Research. After 35 years in the corporate world, Dianne transitioned to her current professional astrological consulting practice. Love and Light for your Tuesday! Thank you for your observation :>)! Get your e-book signed by Rochelle Soetan!